On Saturday, August 5, the UN Security Council passed yet another resolution following North Korea’s missile tests. Like Resolution 2270, passed in March 2016, Resolution 2371 also takes aim at North Korea’s mineral exports. The new resolution also bans imports of seafood products from North Korea, and bans member states from hiring new North Korean laborers, but they do not need to fire North Koreans who have already been hired, so it is questionable whether this source of income will decrease and/or disappear, or merely stop increasing. Unlike Resolution 2270 last year, the new resolution does not appear to contain a humanitarian exemption or any other loophole for mineral imports. In sum, Resolution 2371 appears much more holistic than its predecessors in fully cutting off North Korea’s most central export revenues. But while the content of the resolution is different, the tools it uses remain the same. Its efficacy still hinges upon implementation by UN member states, above all by China, and it is difficult to see why such implementation would be more likely this time. U.S. Ambassador Nikki Haley praised the council’s solidarity, saying more days like this one were needed at the United Nations. She also personally thanked China for helping move the resolution from talk to action. The U.S., which had drafted and put forward the resolution, negotiated for more than a month with China over the text and final measures targeting Pyongyang. However, both China and Russia voted in favor of Resolution 2270 as well, and there are still abundantly clear signs that China did little to implement the ban on imports of North Korean minerals. Had Resolution 2270 been implemented in full, North Korea’s export revenues would already have been badly hit. Yet South Korea’s Bank of Korea announced a few weeks ago its estimate that the North Korean economy grew by close to four percent last year. One should read those numbers with a very, very hefty dose of skepticism, given the difficulty in estimating anything relating to the North Korean economy, but at the very least, we can safely conclude that the North Korean economy is not in dire straits. Its foreign trade increased by close to 5 percent last year, according to KOTRA. 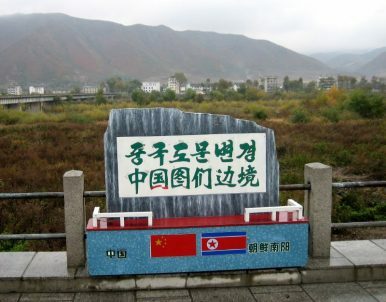 Though there have been several reports suggesting difficulties for companies involved in cross-border trade between China and North Korea over the past year, there are no indications that China has implemented the near-blanket-ban in minerals trade that the UNSC resolution from March last year mandates. So why would this time be any different? It likely won’t be. It is very difficult to imagine that China would have voted in favor of a resolution that would hit North Korea’s economy so badly if Beijing really believed that such a resolution would be fully implemented. The basic political dynamics remain: China does not want North Korea to crumble, and China craves geopolitical stability above everything else. As always, only time will tell. But those who applaud this resolution as a new and radical turn on the global stage in the North Korea issue may want to look back at historical precedent, and moderate their expectations. Benjamin Katzeff Silberstein is the co-editor of North Korean Economy Watch and an associate scholar with the Foreign Policy Research Institute. This post was originally published by North Korean Economy Watch and appears with kind permission. Another North Korean missile test, another round of UN sanctions.